It’s Friday and it’s a long weekend! Luckily there are some fantastic new album releases to add to your soundtrack for the weekend. The latest Beach House is here, Courtney Barnett‘s new album is out, Shakey Graves and Ray LaMontange have dropped new releases and there’s fresh spins from Venetian Snares w/Daniel Lanois, Parquets Courts, Quiet Slang (AKA Beach Slang) and U-Roy. The highly anticipated re-issue of Pink Floyd‘s live album “Pulse” hits the shop today along with the 1971 compilation album Relics. Still want more music for the weekend? Lenny Kravitz “Greatest Hits” and Jimmy Cliff “Harder They Come” have also been re-issued are are now in stock. Let’s check out the latest releases! “Rock and roll is sort of my consolation prize for wanting to have been a writer,” says James Alex. It’s a humble admission from the frontman of Philadelphia’s Beach Slang, a fiery punk quartet whose raucous gigs often find the songwriter’s earnest lyrics bellowed back at him. Still, consider it a feat that fans are even able to hear those words from behind the trembling walls of distortion that serve as Beach Slang’s raison d’etre. “Play it loud, play it fast,” goes the mission statement that is the opening to “Future Mixtape For The Art Kids,” “Play me something that will always last.” Everything about Beach Slang is loud, from the guitars to its attitude to Alex’s weathered rasp. Considering that, there’s something almost cheeky about the title of his new project: Quiet Slang. As the name implies, Alex is embracing minimalism, smothering the fuzz in favor of a cello, a piano, and his voice. In October, Quiet Slang released We Were Babies & We Were Dirtbags, an EP comprised of two Beach Slang songs and two covers from The Replacements and Big Star. Consider it an introduction to what Alex calls “chamber pop for outsiders,” because it simply serves as prelude to Everything Matters But No One Is Listening, a collection of 10 Beach Slang covers. The Grammy and Brit nominated Courtney Barnett returns with her second album – ‘Tell Me How You Really Feel.’ It follows her critically acclaimed 2015 debut album ‘Sometimes I Sit And Think And Sometimes I Just Sit’, and a recent top 10 collaborative record, ‘Lotta Sea Lice’, with Kurt Vile. One of the most distinctive voices in music, Courtney is known for mixing witty observations with unflinching self-assessment – fast forward to now and although all of the cleaver turns of phrase and an eye for story telling are still there; this new collection of songs see a more serious and outwardly tone capturing the current social landscape yet still retaining moments of intimacy and warmth. As the world becomes more familiar with Courtney Barnett these songs feel comforting and emphatic yet that raw energy and the ability to make the listener think still remain. Ray LaMontagne continues to release timeless guitar ballads with a psychedelic flair on his seventh studio album, Part of the Light. Skillfully blending the gentleness of Nick Drake with rootsyness closer to The Band, he lends his soft, raspy voice to new songs about romance, personal change and the like. “As Black As Blood Is Blue” stands out for its grittier guitar sound. So it is on the first collaborative journey of Canadian musicians Venetian Snares and Daniel Lanois. What started as mutual respect for one another’s work, led to several years of a creative germination resulting in an eight-track full-length exploration. Parquets Courts’ fifth album Wide Awake! – produced by Danger Mouse – is a groundbreaking work, an album about independence and individuality but also about collectivity and communitarianism. The songs, written by Andrew Savage and Austin Brown but elevated to even greater heights by the dynamic rhythmic propulsion of Max Savage (drums) and Sean Yeaton (bass), are filled with their traditional punk rock passion, as well as a lyrical tenderness. The record reflects a burgeoning confidence in the band’s exploration of new ideas in a hi-fi context. Talking Roots is the new broadcast from one of the Kings of D.J Reggae. U-Roy broadcasts social commentary affairs on subjects featured on tracks like Repatriation with Donald Trump’s immigration policy the subject of said track. U-Roy is like a BBC reporter, cleverly telling the news without agreeing or disagreeing. Bitter Nut explores the powers of the bitter cola nut, the original sexual health weapon from Africa! and Teacher Morris reflects on school boy romantic fantasy touching on some of the mid- 1970s glorious moments. PULSE, originally released in 1995, was compiled by James Guthrie, using various performances from the band’s 1994 Division Bell tour across the UK and Europe featuring David Gilmour, Nick Mason and Richard Wright. The album includes ‘The Dark Side of the Moon’ performed in full live, as well as a whole side dedicated to the show’s encore. 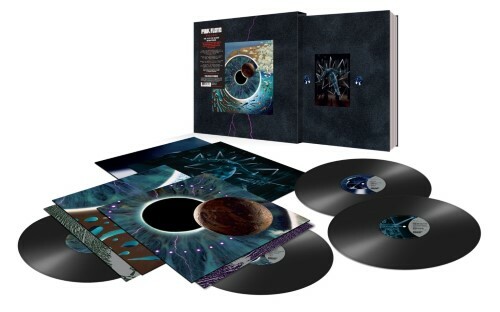 Pink Floyd’s first ‘compilation’ album, includes singles, B-sides, tracks from their first three albums ‘The Piper At The Gates Of Dawn’, ‘A Saucerful of Secrets’ and ‘More’. Also, the then-previously unreleased Roger Waters song, Biding My Time, recorded in July 1969 and first released on ‘Relics’ in May 1971. ‘Relics’ was the first album to include Arnold Layne and See Emily Play, which previously had only been released as singles, and the original studio recording of Careful with That Axe, Eugene, the B-side of Point Me At The Sky in 1968. Fresh compilation reissues for a holiday weekend. Restocks and additions to our new vinyl selection here at Backbeat. 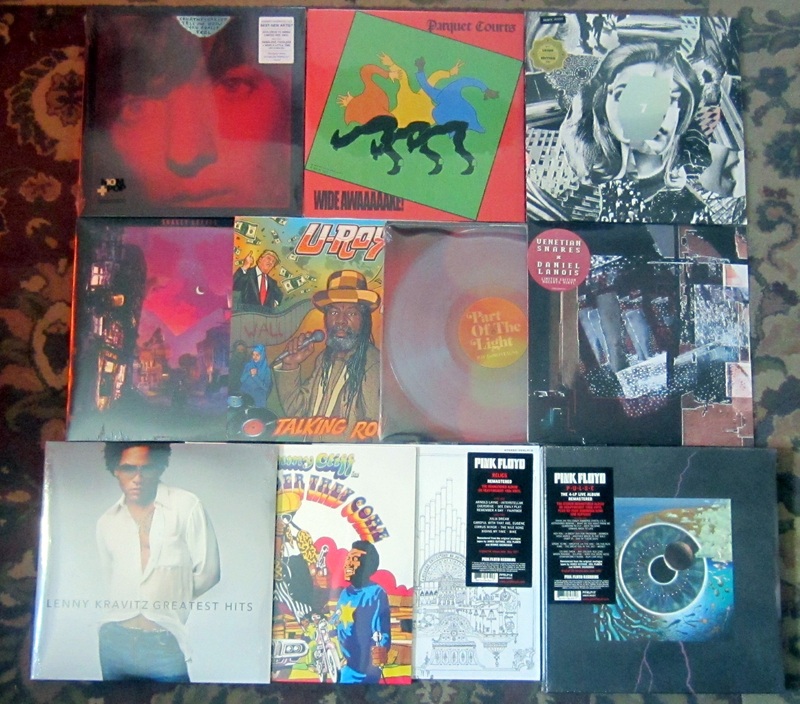 November 5, 2016 Fresh vinyl releases and a few recent reissues.